Sign up here and I will send you advance notice of upcoming Photography Courses and Workshops with my occassional PhotoActive Newsletter. As many of you know, I arrange just a few Photography Workshops and Photography Courses each year. I take only 6 photographers for most of these events, so they are normally booked up well in advance. 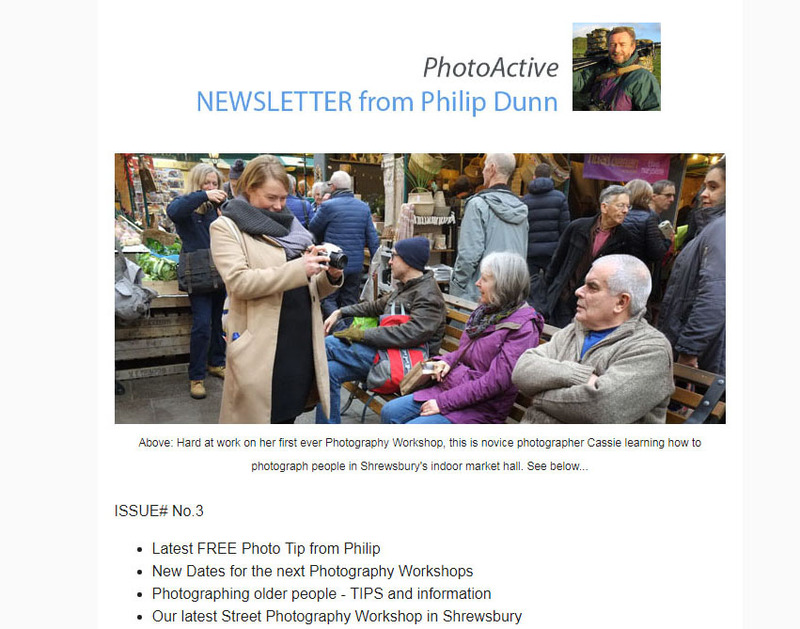 The PhotoActive Newsletter always has a free photo tip, plus new workshop dates and links to the latest photo technique posts on the PhotoActive Blog. When you come on a Photography Course or Workshop with Philip Dunn – it doesn’t just end there. Philip keeps in touch with hundreds of his former photo students. He is always happy to answer questions from photographers who have enjoyed tuition with him in the past. Over the years, the PhotoActive community has grown like a huge extended family. Philip’s students often share their interests with other students, some of whom they may have met on a workshops, others who have made contact through the former PhotoActive Forum and the present PhotoActive Blog.